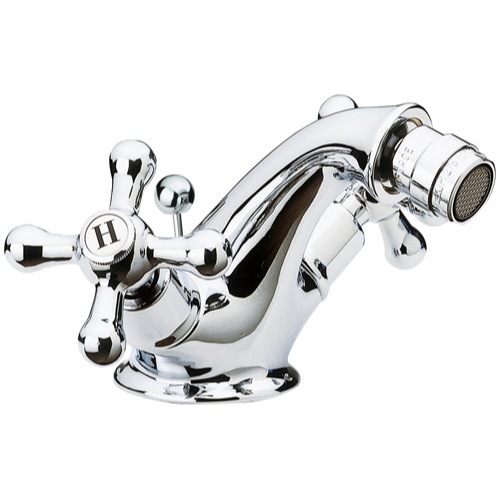 This compact bidet faucet offers a simple, yet elegant design in a one-hole deck mount mixer. 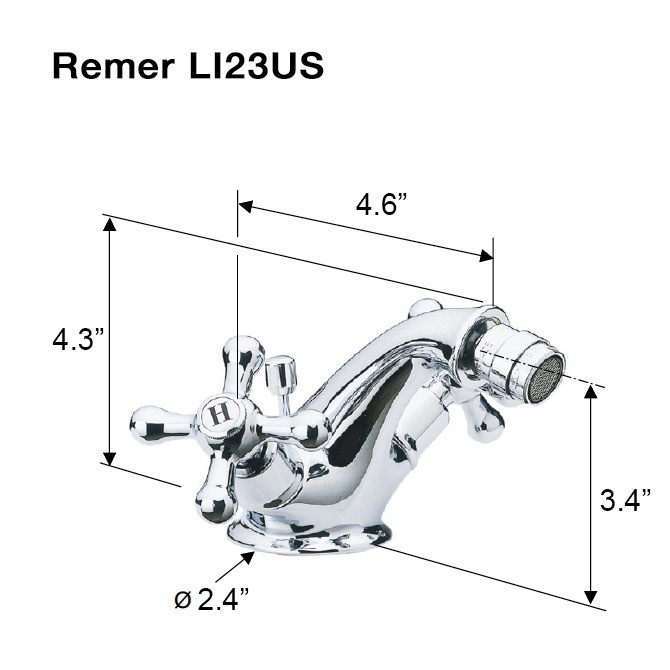 The faucet, as part of the Remer Liberty Series was crafted in Italy and is equipped with a ceramic head valve. Made entirely of solid brass, this one-piece faucet also features dual, four-pronged handles extending diagonally from the base of the spout. Available in Remer's excellent chrome polished finish.